Createspace Independent Publishing Platform, 9781470122355, 354pp. In 1946 ominous clouds are gathering on the narrow horizon of Lupoaia (Valley of the Wolves), a little village in Transylvania, where traditions, impregnated with prejudice and superstition, have endured over many generations. The Second World War is over but the lives of the villagers are thrown into turmoil with the imposition of drastic, senseless changes by a new regime, intent on creating a new man for a new society. The newly-installed totalitarian government threatens to eliminate the Flonta family by declaring Teodor's father, Pavel, a chiabur - an 'enemy of the people'. Pavel is arrested, imprisoned and tortured. When the wave of persecutions reaches its peak, he is forced to live in hiding. A trade, learned by Pavel in his youth, unexpectedly becomes his salvation - the Russians, who are extracting uranium in the Carpathians for their first atomic bomb, hire him. There, at the mine, the tentacles of the Securitate - the secret police - cannot reach him. Stalin is still alive when Teodor starts school. Torn between two opposite worlds - home, where traditional values are preserved and love abounds - and school, where indoctrination and inequity prevail, he constantly questions and ponders the twisted logic behind events, sometimes with cheekiness and humour, as only a child is capable of doing under the circumstances. Events, however, affect Teodor deeply from an early age, as in the communist system the sins of the father - imaginary as they might be - are made to fall on his young son's shoulders. *** 'A Luminous Future offers a unique insight into one of the most disturbing periods of modern European history. 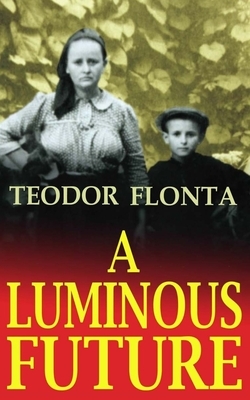 By turns amusing, terrifying and confronting, the story of Teodor Flonta, his father, his family and his community, is both a valuable social document and an intriguing read.' Chris McLeod, Man of Water, Fremantle Arts Centre Press 'The author does a wonderful job combining the historical and the personal. The images and themes surrounding the wolves - both animal and human - are brilliant. One of the greatest things about this memoir is how the author balances the darkness and cruelty with pitch perfect humor. It is such a triumphant story in the face of seemingly insurmountable odds and I think readers will love this family and the spirit they show. It's funny and warm and heartbreaking - as life so often is.' Jayne Pupek, The Tomato Girl, Algonquin This is a charming and sometimes shocking portrait of growing up in a remote village in Romania during the Communist era. It is an intriguing portrayal of the customs and traditions that lingered on from the pre-Communist days, humorous and brutal as they were, and their destruction at the hands of what seems a madness that gripped the country during the 1940s and 50s. It is also a testament to the resilience of the author's father who endured unimaginable pressures, humiliations and imprisonments for committing no crime other than employing a couple of men. Personally I find the story quite gripping, and clearly and vividly told, with a mass of illuminating detail. The characters come to life well, the author makes a good guide to this - to us - strange world, and conveys the politics in a lively but understated way.' Helena Drysdale, Looking for George, Picador.